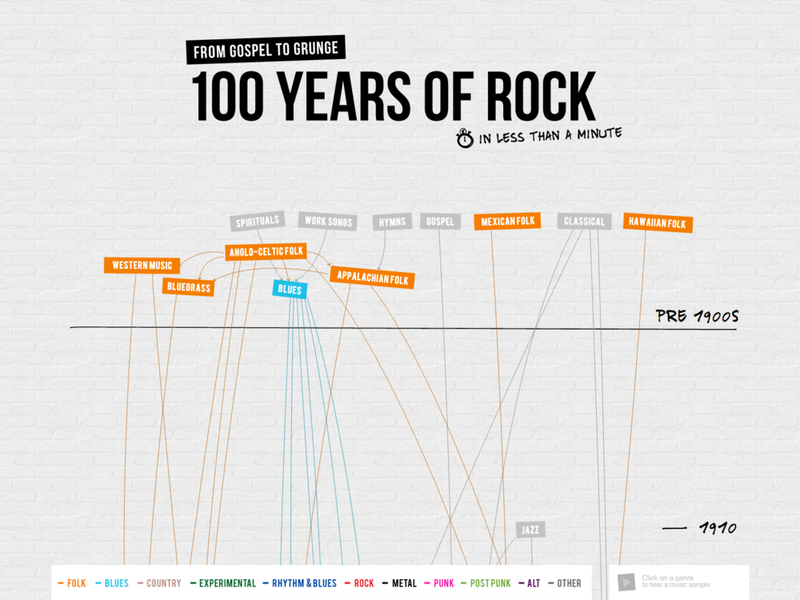 A visualisation of the evolution of rock music from its origins in Folk and Blues to its recent genres of Nu-Gaze Post Grunge. Results: over 100,000 social shares, featured on CNN and FastCompany Design. Shortlisted for Information is Beautiful Awards in 2015.